What is the NC Jr. Chef Competition? The NCJCC will recognize students for their ability to work as members of a team to demonstrate valuable skills in recipe development, food preparation, marketing, public presentation, organization, and local food systems. The NCJCC consists of two parts: 1) a recipe contest and 2) cook-off. Student teams must develop a recipe for a school lunch entrée that meets the guidelines to submit for the NCJCC recipe contest. During the NCJCC cook-off, finalist teams must prepare, cook and plate their recipe and present (2) plates of their prepared recipe to judges. ​Why host a NC Jr. Chef Competition? The NCJCC hopes to inspire the next generation of culinary professionals, stimulate interest locally produced agriculture, increase participate in School Nutrition Programs, and encourage healthy eating habits. ​Who can participate? Teams of 2-4 high school students (grades 10-12) currently enrolled in NC Career and Technical Education Food, Nutrition, and Culinary Arts courses can participate in the NCJCC. When are important dates?/What are next steps? Today - Review the NCJCC guidelines and plan to participate. January 24, 4:30 pm - Participate in a webinar to learn more. Register to receive the webinar connection info. The webinar will be recorded and made available. January 31 - Submit an Intent to Compete form for your team if interested in participating. February 28 - Submit a completed Application (including Recipe), Photo of the Dish, and Parental Permission and Release forms for each team member to FACSEducation@dpi.nc.gov. March 2 - Look for a notification by email to see if your team has been selected as a finalist. April 9 - If you are one of the 8 finalist teams, participate in a cook-off in Greensboro. 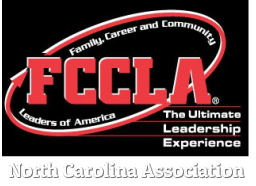 The winning team will be announced during the opening session of the NC FCCLA Annual Conference. May 9-10 - The North Carolina Jr. Chef Competition winning team advances to compete in the Southeast Jr. Chef Competition at Sullivan University in Kentucky. Please click on the buttons below to download the files for the NC Jr. Chef Competition.